Do I need any special skills to help plan River West Village? Not at all. Everyone is welcome, and appreciated. 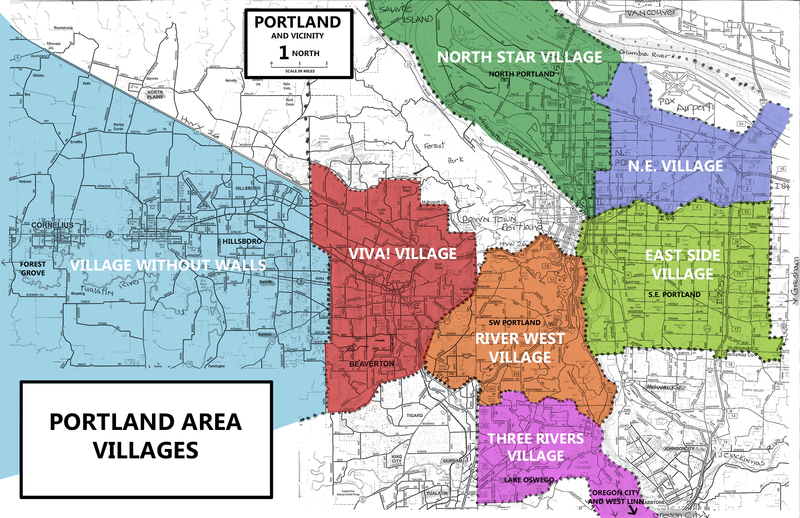 Is the Village a real estate development? 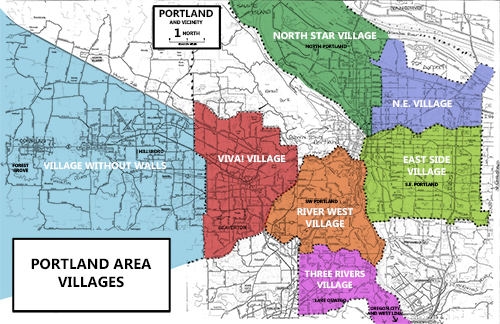 No, it is a ‘Virtual Village’ servicing the needs of people in the SW Portland, OR area. See our About Us page for more information. Which Village covers my area? Click Map below for large image.